I wish that you would help build a powerful new early warning system to protect our world from some of its worst nightmares. In the 1970s, Larry Brilliant was one the leaders of the successful World Health Organization smallpox eradication program. More than 500 million people died of smallpox in the 20th Century. Thirty years ago, two million lives a year were still being claimed. Yet in 1980, the disease was completely eradicated from the face of the planet. Brilliant was a highlight at this year's TED (technology, entertainment, design) Conference where he was a recipient of the 2006 TED Prize, in which the recipient makes a "wish". Among the TED attendees are executives who run world-class companies and have pledged support to help fulfill these wishes. This is in addition to each winner receiving $100,000 to be spent however they choose in support of their wishes. The same week, during TED, Google hired Brilliant to head Google.org. The Foundation, which serves as the umbrella organization for Google's philanthropic activities, is funded by 1% of the corporations stock, or, about $1 billion. In his first act as the Executive Director of Google.org, Brilliant said Google will join other TED attendees to support formation of an organization to detect early signs of emerging, global health crises, such as bird flu. The name of the project: "The International Network System for Total Early Disease Detection." 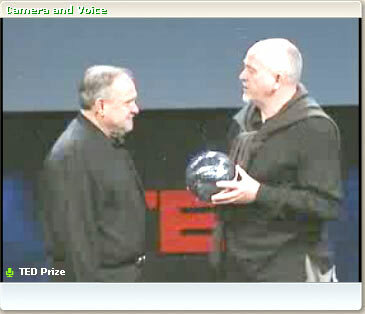 Below is a link to the TED streaming video of Larry Brilliant's TED Prize acceptance speech in which he outlines his vision for a "powerful new early warning system to protect our world from some of its worst nightmares". 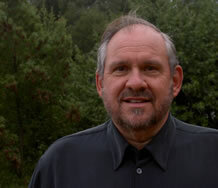 LARRY BRILLIANT'S WISH: I wish that you would help build a powerful new early warning system to protect our world from some of its worst nightmares. [On button bar on at bottom of screen click on icon on left — "View Archive Transcript" — once it opens, in the left panel, click on "Video [0:57:52]"
• Is this best done as a for-profit or non-profit? • What are the best ways to preserve transparency and negotiate privacy issues? What haven't we thought of?